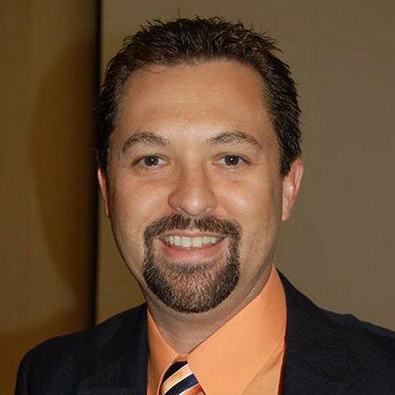 Dr. Eric K. Cooper continues to teach online psychology courses at Seton Hill University even after moving to San Antonio, TX where he Assistant Vice President for Enrollment Management at Texas A&M University - San Antonio. Cooper, E. K., Blazer, L. G., Cox, E. M. (2012). Promoting long-term growth in the financial aid office. In L. Conard, S. Holman, D. Levy, B. Satterfield, & L. Turner (Eds. ), You’re the Director! A Guide to Student Aid Leadership (pp. 158-172), Washington, DC: National Association of Student Financial Aid Administrators. Cooper, E. K. (2011). Coordinating communication through a one-stop shop. Student Aid Transcript 22(3), 22-24.
Cooper, E. K. (2008). Martial arts training for children with attention deficit/hyperactivity disorder. Proteus: A Journal of Ideas, 25(2), 37-42. Barriga, A. Q., Cooper, E. K., Gawelek, M. A., Butela, K., & Johnson, E. (2008). Dialogue and exchange of information about grade inflation can counteract its effects. College Teaching, 56(4), 201-209.
Cooper, E. K. (2008, March 28). Aggression: A more balanced view. [Review of the book Aggression and adaptation: The bright side to bad behavior]. PsycCRITIQUES: Contemporary Psychology--APA Review of Books, 53(22), Article 4.
Cooper, E. K. (2006). Information and strategies for martial arts instructors working with children diagnosed with attention deficit/hyperactivity disorder. Journal of Asian Martial Arts, 15(4), 20-29.
Cooper, E. K. (2006, October 18). Video games: A different perspective. [Review of the book The business and culture of digital games: Gamework/gameplay]. PsycCRITIQUES: Contemporary Psychology--APA Review of Books, 51(42), Article 6.
Cooper, E. K. (2005). Using observational learning methods for martial arts teaching and training. Journal of Asian Martial Arts, 14(3), 8-21.
Cooper, E. K. (2005, July). Incorporating online discussion groups into an adult accelerated course to facilitate student interaction. Online Classroom, pp. 4-5, 7.
Cooper, E. K. (2005, September 28). Does technology impact intelligence? [Review of the book Intelligence and technology: The impact of tools on the nature and development of human abilities]. PsycCRITIQUES: Contemporary Psychology--APA Review of Books, 50(39), Article 9.
Cooper, E. K, & Cooper, M. K. (2005, July 6). Changing the nature of college admissions. [Review of the book Choosing students: Higher education admissions tools for the 21st century]. PsycCRITIQUES: Contemporary Psychology--APA Review of Books, 50(27), Article 9.
Cooper, E. K. (2004, November 23). Addressing the influence of television and media on children. [Review of the book Television and child development (3rd ed.)]. PsycCRITIQUES: Contemporary Psychology--APA Review of Books, 49(9), Article 13.
Cooper, E. K. (1998). Writing an effective college application essay. Allegheny County High School Graduate, 15. Honorable Mention: Doug Bernstein Poster Award. Helping students understand psychology through The Sims. 27th annual National Institute on the Teaching of Psychology, St. Petersburg Beach, FL, 2005. Cox, E. M. & Cooper, E. K. (2013). Creating a Culture of Assessment in Financial Aid. Presentation at the 2013 annual Texas Association of Student Financial Aid Administrators Conference, Galveston, TX. Cooper, E. K. (2013). Financial Literacy Panel. Moderator at the 2013 annual Texas Association of Student Financial Aid Administrators Conference, Galveston, TX. Blazer, L. G. & Cooper, E. K. (2013). Culture of Assessment in a Financial Aid Office. Presentation at the 2013 annual National Association of Student Financial Aid Administrators Conference, Las Vegas, NV. Cooper, E. K. (2012). Using rubrics to guide staff to better performance. Presentation at the 2012 annual Southwest Association of Student Financial Aid Administrators Conference, San Antonio, TX. Paine, G. E., Cooper, E. K., Howard, E., & Edmondson, D. (2012). Excellence in service and programming: Achieving strategic success. Presentation at the 2012 annual Texas Association of College and University Student Personnel Administrators Conference, San Antonio, TX. Paine, G. E., Dominguez, E., McKinney, J., & Cooper, E. K., Edmondson, D. (2012). Excellence in service and programming: Achieving strategic success. Presentation at the 2012 annual National Association of Student Personnel Administrators Conference, Phoenix, AZ. Cooper, E. K, & Martinez, D. S. (2011). Legislative impacts on recruitment and retention: A financial aid perspective. Presentation at the 90th annual Texas Association of Collegiate Registrars and Admissions Officers Conference, San Antonio, TX. Paine, G. E., Dominguez, E., Blazer, L., McKinney, J., & Cooper, E. K. (2011). Excellence in service and programming: Achieving strategic success. Presentation at the 2011 annual National Association of Student Personnel Administrators Conference, Philadelphia, PA.
Cooper, E. K. (2011). Using rubrics to guide staff to better performance. Presentation at the 2011 annual UTSA Student Financial Affairs Conference, San Antonio, TX. Cooper, E. K., & Rowe, S. (2011). Promoting yourself, your department and UTSA through effective conference presentations. Presentation at the 2011 annual UTSA Student Financial Affairs Conference, San Antonio, TX. Cooper, E. K. (2010). Financial aid: What every advisor should know. Presentation at the 4th annual UTSA Advising Conference, San Antonio, TX. Cooper, E. K. (2010). Enrollment services: The one-stop shop for admissions, registration, financial aid, scholarships and fiscal services. Presentation at the 89th annual Texas Association of Collegiate Registrars and Admissions Officers Conference, Galveston, TX. Shaffer, J., & Cooper, E. K. (2010). Recruitment and retention of graduate students through financial aid outreach. Presentation at the 89th annual Texas Association of Collegiate Registrars and Admissions Officers Conference, Galveston, TX. Cooper, E. K., & Cox, E. M. (2010). Managing with ‘Michael Scott’. Presentation at the 2010 annual UTSA Student Financial Affairs Conference, San Antonio, TX. Cooper, E. K., Canady, K. N., Cox, E. M., & Moncada, A. (2009). Enrollment services’ one-stop shop: The customer service aspect of financial aid, admissions, registration and fiscal services. Presentation at the 2009 annual National Association of Student Financial Aid Administrators Conference, San Antonio, TX. Sobiesiak, S., Desmarais, E., & Cooper, E. K. (2009). Focus on the future: Changing demographics and the impact on financial aid and admissions. Presentation at the 2009 annual National Association of Student Financial Aid Administrators Conference, San Antonio, TX. Cooper, E. K. (2009). Student Affairs Success Stories. Moderator at the University of Texas at San Antonio Student Affairs Conference, San Antonio, TX. Cooper, E. K., Canady, K. N., Cox, E. M. (2008). Student financial aid and enrollment services: The one-stop shop. Presentation at the 2008 annual Texas Association of Student Financial Aid Administrators Conference, Houston, TX. Cooper, E. K. (2008). Leadership in the financial aid office. Panel presentation at the TG Annual Training Conference, Austin, TX. Cantu, H. M., Cooper, E. K., & Mendiola, G. (2007). The ‘one-stop’ shop at large universities. Presentation at the 86th annual Texas Association of Collegiate Registrars and Admissions Officers Conference, Addison, TX. Cooper, E. K. (2005). Helping students understand psychology through The Sims. Poster presentation at the 27th annual National Institute on the Teaching of Psychology Conference, St. Petersburg Beach, FL. Cooper, E. K. (2004). Creating online learning communities for use with face-to-face classes. Presentation for the Teaching and Learning Forum, Seton Hill University, Greensburg, PA.
Cooper, E. K. (2004). Incorporating online learning communities into onsite accelerated courses: Facilitating group work for adult students. Poster presentation at the 26th annual National Institute on the Teaching of Psychology Conference, St. Petersburg Beach, FL. Barriga, A. Q., & Cooper, E. K. (2003). Grade inflation: An update after awareness. Presentation for the Faculty Senate, Seton Hill University, Greensburg, PA.
Barriga, A. Q., & Cooper, E. K. (2002). Grade inflation. Presentation for the Faculty Senate, Seton Hill University, Greensburg, PA.
Cooper, E. K. (2000). Creating an effective online syllabus. Presentation at the Western PA Community College Resource Consortium Conference, Westmoreland County Community College, Youngwood, PA.
Cooper, E. K. (1997). What I wish I had known before I entered this profession. Presentation at the Potomac and Chesapeake Association for College Admission Counseling Conference, Charlottesville, VA.